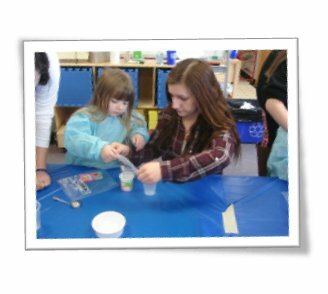 The Child Development Career Academy introduces students to the developmental characteristics of children. 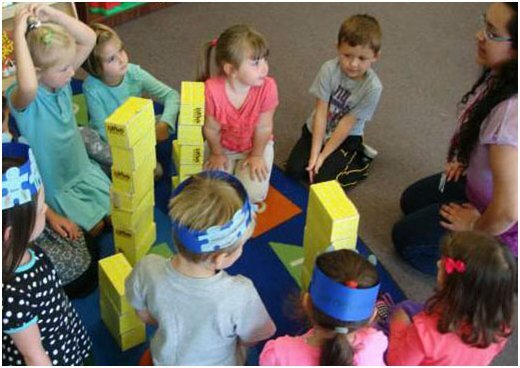 The program offers students insights into physical, emotional, and cognitive development. The individuals trained in this area will be well prepared for the demanding child care profession and to become future educators. The field experiences meet the laws governing professional child care training facilities. certification, which is the most widely recognized credential in early childhood education and is a key stepping stone on the path career advancement in the industry. A great program for future educators, this shop runs a Pre-School known as Sprouts. 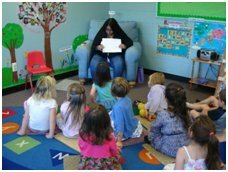 Under the guidance of the Child Development Instructor, junior, and senior students develop and teach lessons and activities to the pre-school students. Students in the Child Development program will have the opportunity to run the Sprouts Pre-school providing field experience in early childhood development. Successful students in this program have the opportunity to obtain a Child Development Associate (CDA) Credential™. This credential is based on a core set of competency standards, which guide early care professionals as they work toward becoming qualified teachers of young children. The Warren Tech Child Development Career Academy traditionally has two pathways that students in this program pursue, College Prep and the workforce. Students enrolled in this pathway in the Child Development Academy plan on continuing their education at a college or university. Students in this pathway traditionally are seeking future employment in education as a teacher, guidance counselor, or educational support staff. In this program students will gain experience working with young children and in developing and implementing lessons while preparing for college teacher preparation programs. Students will also have the opportunity to work towards obtaining their Child Development Associate (CDA) credential. 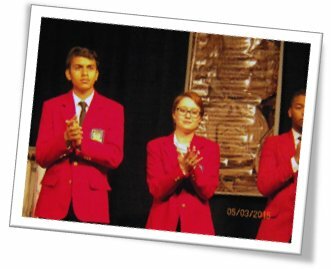 Students in the Child Development Program can hone their skills while competing in SKILLS USA in Early Childhood Development, and Career Pathways Showcase competitions. Students in the Child Development Career Academy also have the track of preparing for the workforce. Students in this pathway will focus on becoming employed directly after high school in child care centers. 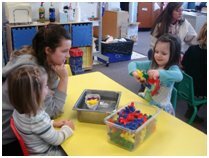 Students work towards their CDA and gain experiences in working with young children in Warren Tech’ Sprouts Pre-School program that operates on campus. "It was great to have a head start on so many of my peers. I was able to gain experience in the field that I wanted to pursue."